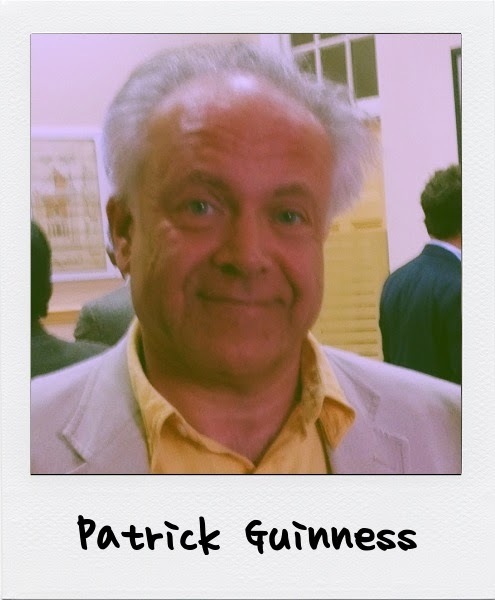 Patrick Guinness is an Irish historian and author, and one of the heirs of the Guinness dynasty. He is a council member of the County Kildare Archaeological Society and of the Order of Clans of Ireland. He is a trustee of the Iveagh Trust and President of the Irish Georgian Society. In September 2010, he became a Knight of Justice of the Military and Hospitaller Order of St. Lazarus of Jerusalem (KLJ) at a ceremony in St. Patrick's Cathedral in Dublin and in 2013 he was made a Knight Commander of the Order of the Eagle of Georgia by Prince David Bagrationi of Georgia. Day Job - He continues his father's business in real estate development and is a financial analyst. He formerly represented Sotheby's in Ireland. How did he get into genetic genealogy? Born in Dublin, he is the son of Desmond Guinness and Marie-Gabrielle von Urach. Through his mother's descent from the second Duke of Urach, he is a potential claimant to the medieval Kingdom of Jerusalem, Kingdom of Lithuania and to the Principality of Monaco. He is also 2259th in line of succession to the British throne. He has written a biography of his historic forbear Arthur Guinness, the founder of the Guinness brewery dynasty. He lectures on genetic genealogy relating to the early Irish dynasties and Viking Ireland, and has sponsored academic research on Irish genetics. In 2006 the oldest male-line lineage provable by DNA was revealed to the press and was widely reported around the world. Niall of the Nine Hostage's DNA profile became known as "N9H". However it also was clear that the profile had been around for centuries before he lived, and is found in 5% of men in Britain. Sadly, but informatively, it did not overlap as expected with the Ui Neill clans. This talk explains the context and reveals that some amateur sleuths nearly pipped the academics to the post. Where can people get more information about him or his topic? Surely the family of Confuscious have the world's longest pedigree? Certainly for Europeans it would be Niall via Conn of the 100 battles.